The Philippine Coconut Authority (PCA) is taking a two-pronged approach to increase coconut farmers’ income and to make coconut farming sustainable. This was learned in an exclusive interview with Sec. Francis Pangilinan of the Department of Agriculture who serves as the Presidential Assistant for Food Security and Agricultural Modernization. 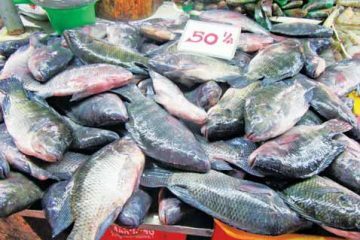 He has been tasked to oversee four important agencies that include the PCA, National Irrigation Administration, Fertilizer and Pesticide Authority and the National Food Authority (NFA). 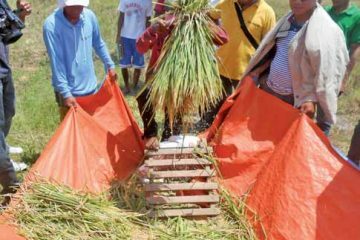 One approach, according to Pangilinan, is to increase productivity so the farmers will make higher incomes. And this can be achieved through proper fertilization, replanting and intercropping. The farmers should not only depend on coconut for their source of income. They can increase revenues by planting in between the coconut trees high value crops like cacao, coffee, banana and in some places abaca. husk from a buko vendor’s stall. 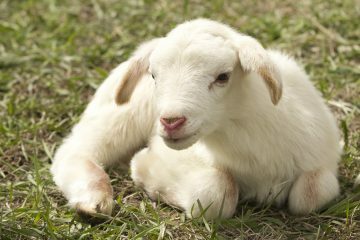 A diversified source of income will make the farmer gainfully occupied throughout the year. His cash flow could be well distributed all throughout so that he does not experience any lean season. The second approach, according to the food czar, is enterprise development in the countryside. This means encouraging investors to develop processing hubs that will undertake value-adding process to coconut byproducts. water, coconut sugar and others. The Secretary would like to see an active role of the private sector to come up with processing facilities in strategic areas that will the convert the traditional waste products into products of value. Processing the coconut husk into coconut coir and coco peat, for instance, could provide job opportunities in the countryside. 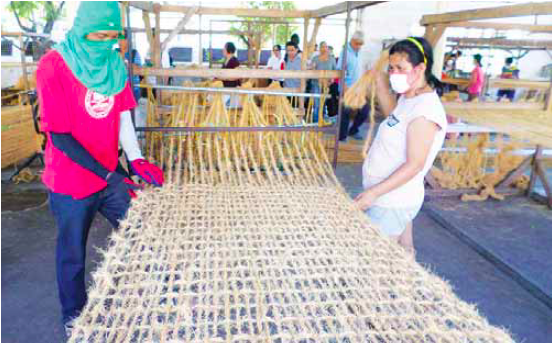 Weaving coconet for erosion control. Administration. Not to mention the export market. 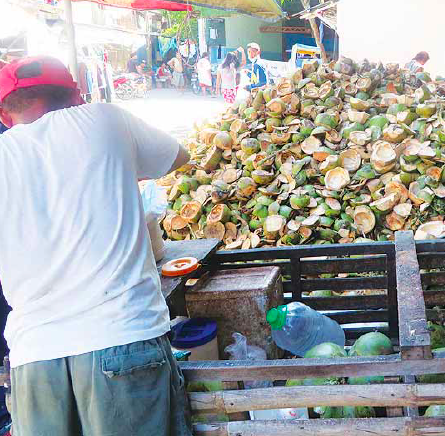 In this connection, the PCA will conduct a coconut industry summit sometime in February where businessmen, cooperatives, local government units, NGOs and other groups will participate in coming up with a road map for the industry. a tax and therefore it belongs to the government. The condition is that the Fund will have to be used only for the benefit of the coconut farmers and the coconut industry. 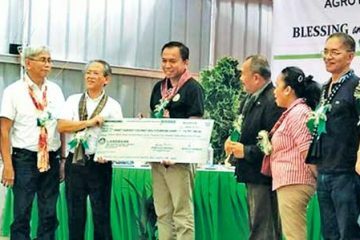 The big amount, according to Pangilinan, could go a long way in boosting the farmers’ income and in making coconut farming sustainable. Pangilinan envisions clusters of coconut farmers producing the raw materials for processing in facilities put up by private investors or by farmers’ cooperatives themselves. Pangilinan cites a community that he visited in Thailand. There, a cluster of 32 farm families are producing the requirements of five exporters of crops like basil, asparagus, kangkong and others. 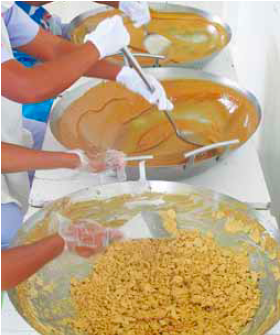 Coco sugar production has a lot of potential in the local and export markets. 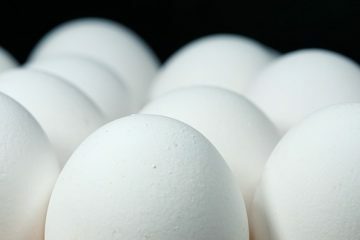 The same idea could be adopted in the coconut producing areas. 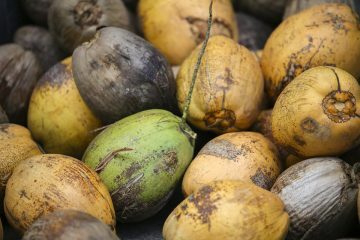 A cluster of coconut farmers could produce the raw materials for processing such products as coco coir, coco peat, virgin coconut oil and so on. Pangilinan said that a well known foundation in Quezon City is willing to buy virgin coconut oil and coco sugar which it can sell to a big supermarket chain in the United States. opportunities available in the countryside, there will be less people flocking to Metro Manila in search of greener pastures. Oh yes, there are benefits not only for the coconut farmers themselves but for the country as a whole if only the coconut farmers are given a chance to increase their farm incomes. There will be less migration to the crowded cities, for one.